Puffins are any of three small species of bird often found in coastal colonies. They are social, sea-faring birds that feed primarily by diving into the water. 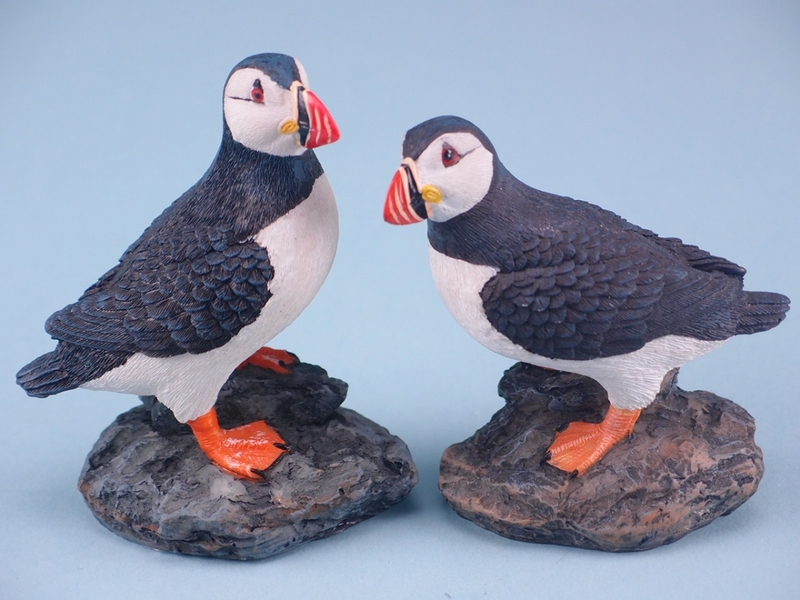 These nautical resin ornaments depict two of these birds in their natural environment. Each one is hand-crafted using quality resin and painstakingly painted. Puffins are any of three small species of bird often found in coastal colonies. They are social, sea-faring birds that feed primarily by diving into the water. 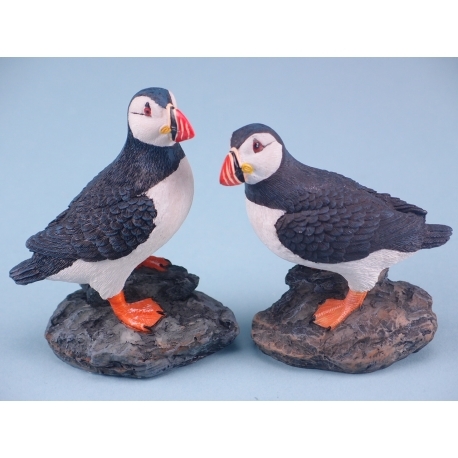 Brought to you by SDL Imports, these wonderful nautical resin ornaments depict two of these playful and inquisitive birds in their natural environment. Each one is hand-crafted using quality resin and painstakingly painted capturing the exquisite detail of these beautiful animals. Your customers are sure to love this ornament which will look fantastic in any room of the house. Please note that these are not toys and therefore unsuitable for young children.